Such a cool pic. Hope you've all been enjoying the snow! Ahh its been like this here too, SOOO SO cold! Brrrrr - that looks so cold. has Dotty been out in the snow? Aww, this made me smile. A different twist on all the snowy pictures I have seen today. I love this, did it last for long? 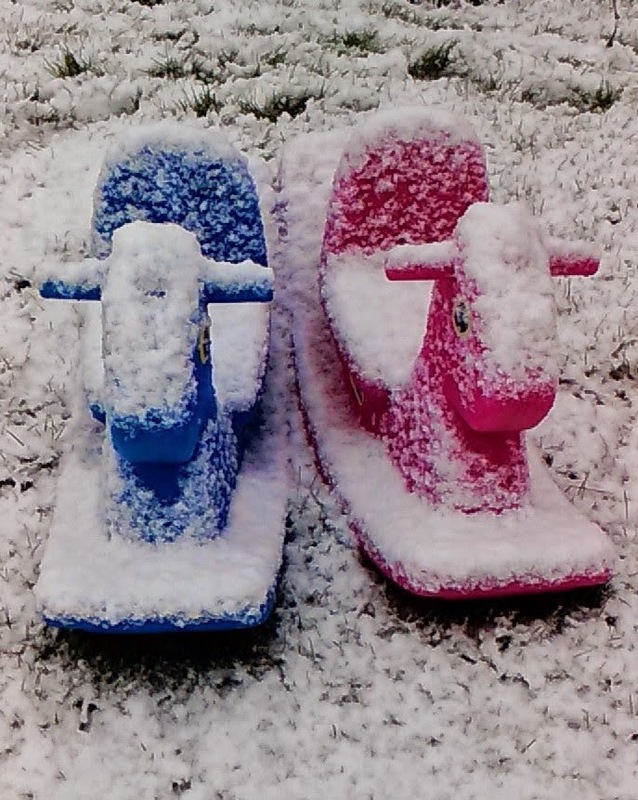 Looks like they could be turned into fabulous snow sleds!